The Mule PRO-MX EPS is part of the new PRO-MX product line from Kawasaki. The Mule PRO-MX EPS LE adds a roof and aluminum wheels. The Mule PRO-MX EPS Camo rounds out the new product line from Kawasaki. 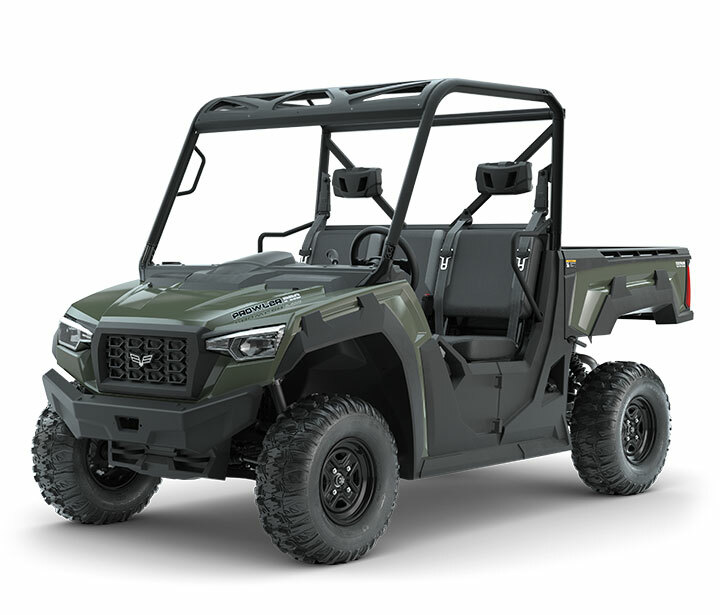 Kawasaki has expanded their Mule PRO series of utility vehicles with the launch of the all new Mule PRO-MX product line for 2019. 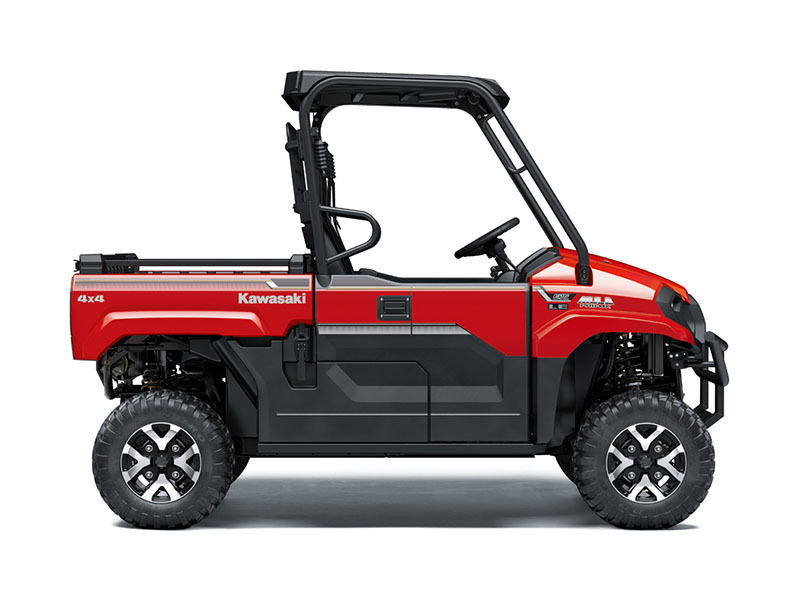 Positioned as a mid-size compact crossover vehicle for work or play, the MX product line is smaller in size and price, and features less horsepower, less cargo capacity and less towing capacity than the Mule PRO-FX or Mule PRO-FXR models (SVR recently posted some reviews of the 2018 Mule Pro-FXR). The PRO-MX models seat two rather than three passengers or six in the case of the PRO-FXT models. Models in the PRO-MX lineup are 60″ wide compared to 64″ for FX and FXT models and have a 700 lb. rather 999 lb. capacity cargo box as well as the ability to tow up to 1,500 lb. compared to 2,000 lb. 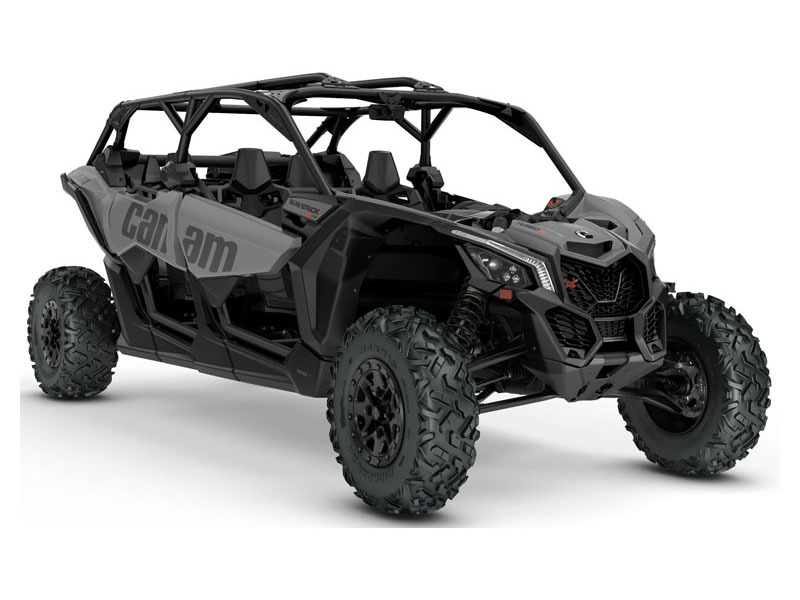 Can-Am just unveiled their 2019 side-by-side lineup. 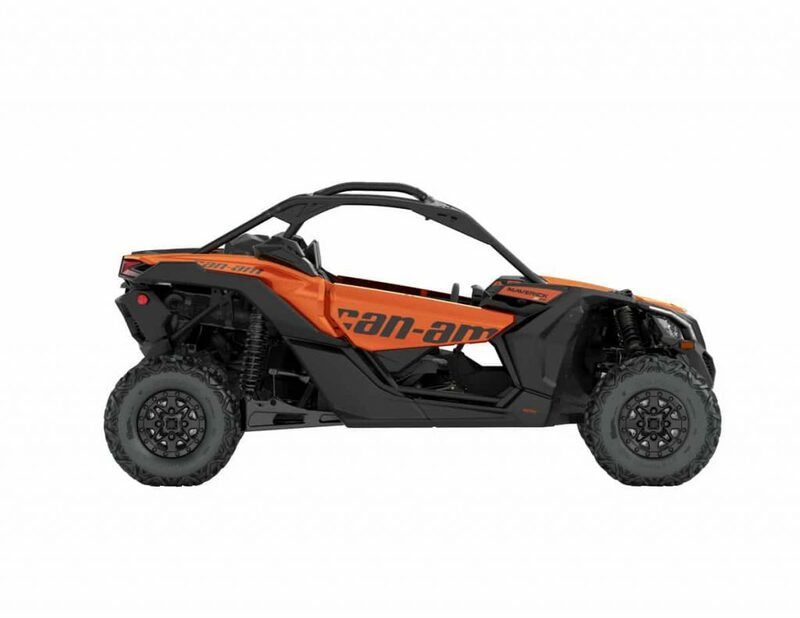 Rather than introduce completely new models, this round of vehicles includes a host of upgrades across the 2019 Can-Am side-by-side offerings. 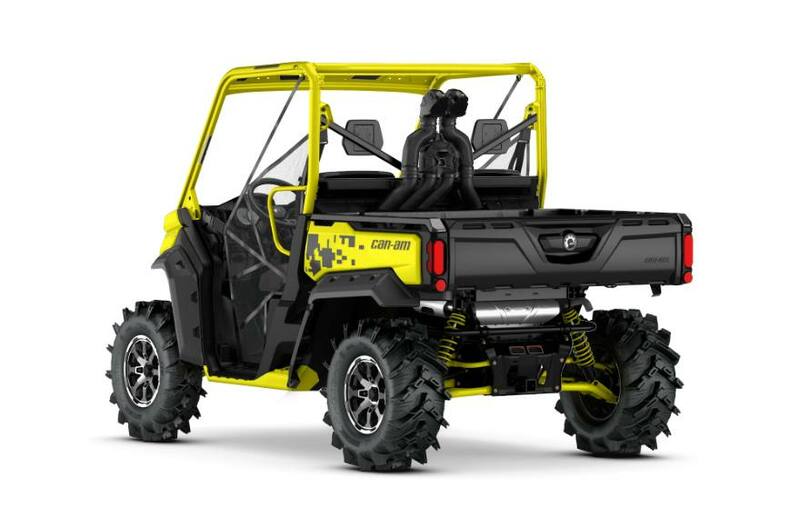 The 2019 Can-Am Defender HD8 features upgrades such as more towing capacity and a longer warranty. The 2019 Defender X mr comes with lower gear ranges and large shocks. Like the rest Maverick X3 lineup, the Maverick X3 Max X ds now features a Smart-Lok front differential and new Dynamic Power Steering system. The 2019 MAX versions receive similar upgrades as well. 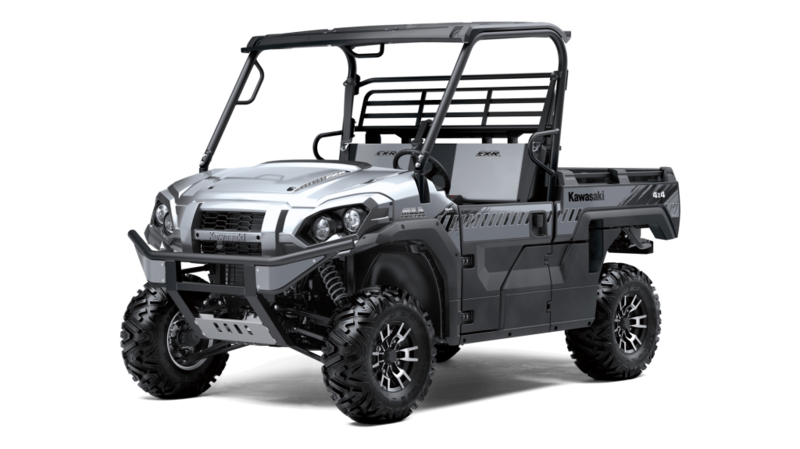 The new 2019 Prowler Pro from Textron Off Road with a 50 hp gas engine. The Prowler Pro comes standard rack-and-pinion steering and 12-inch steel wheels in Marsh Green for $11,399. The Prowler Pro XT comes in Dynamic Charcoal or Fire Red and includes electronic power steering and 14-inch machined aluminum wheels for $12,999. All vehicles are sold with a 12-month warranty and will be available in dealerships in May. The new Wolverine X2 side-by-side for 2019 from Yamaha. The Wolverine X2 is available in Graphite and has an MSRP of $12,699. The Wolverine X2 R-Spec SE is part of Yamaha’s new recreation lineup for 2019. In addition to the Wolverine X2 Yamaha’s 2019 recreation lineup includes the Wolverine X2 R-Spec and the Wolverine R-Spec SE. 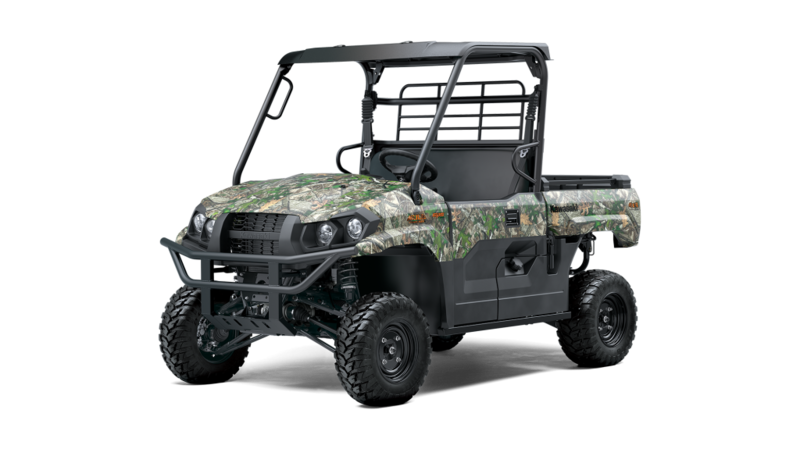 The Wolverine X2 R-Spec comes with a suntop, aluminum wheels, KYB piggyback shocks, over fenders and is available in Ridge Red or Alpine White for $14,499 or Realtree Edge camo for $14,949. 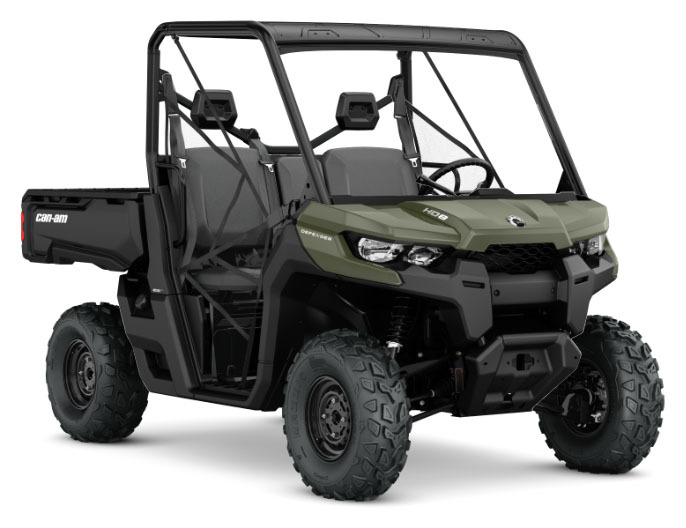 The Wolverine X2 R-Spec SE further adds painted bodywork, color-matched interior and is available in Tactical Black or Backcountry Blue for $15,299. 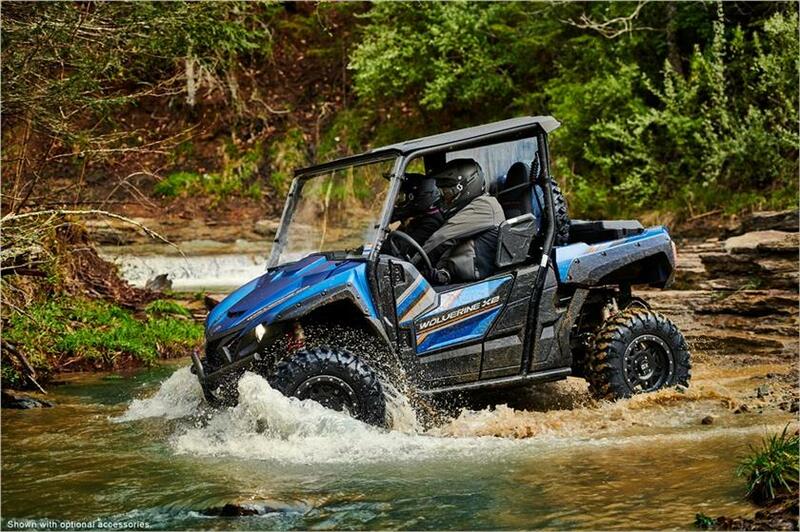 The sport line includes the base YXZ1000R, the YXZ1000R SE, the YXZ1000R SS and the YXZ1000R SS SE. The SS models add the Yamaha Sport shift with paddle shifters and auto clutch. The SE versions add beadlock wheels and a suntop. 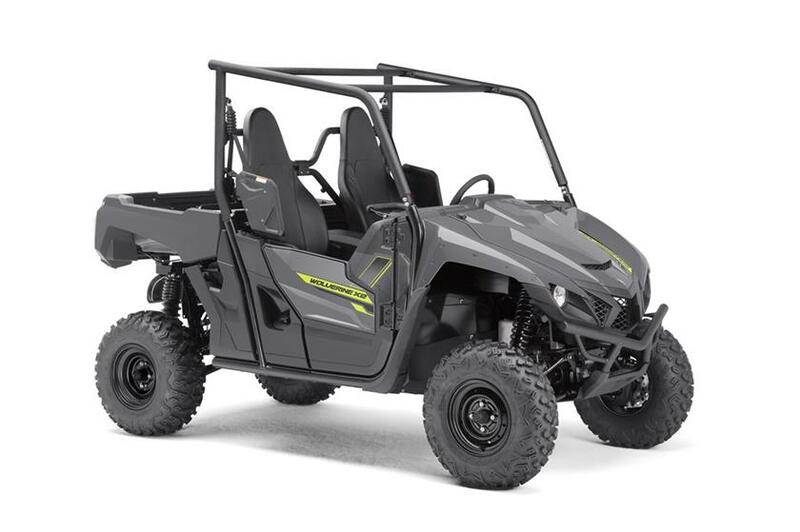 The YXZ line will be available in September and the MSRP has not been published yet. New for 2018 is the Kawasaki Mule Pro-FXR shown here in Atomic Silver. 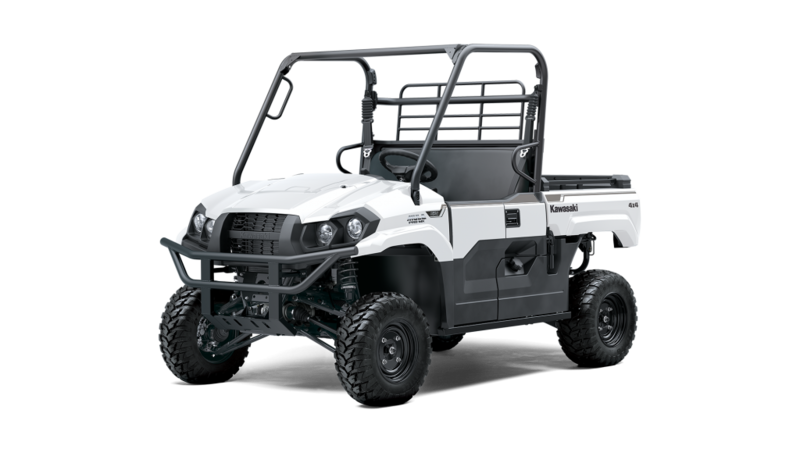 Below are highlights from reviews of the Kawasaki Mule Pro-FXR by trade publications and enthusiasts. 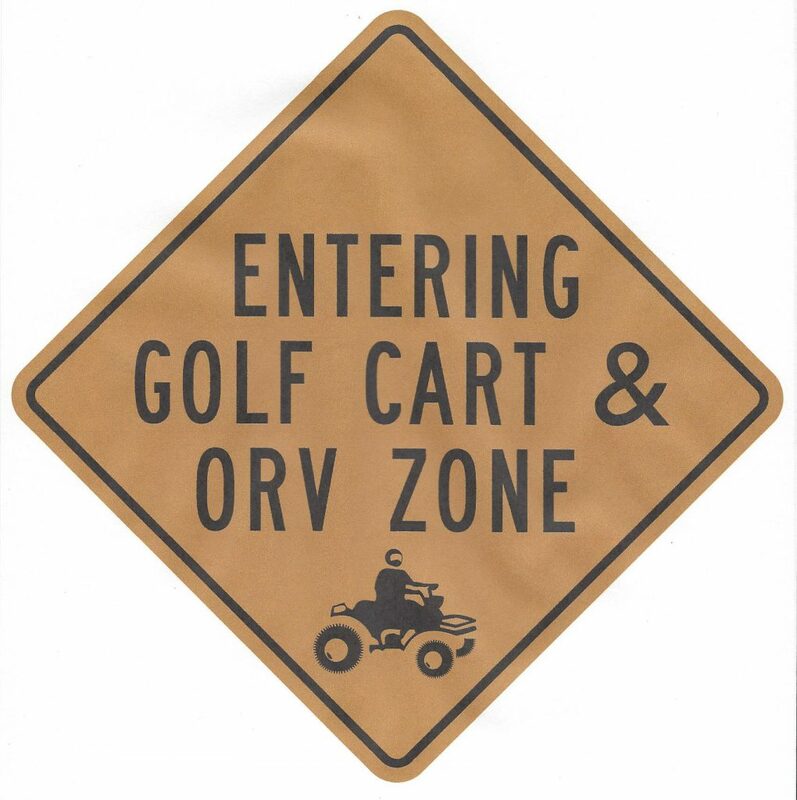 ATV.com – Kawasaki sponsored test drive event at Hearst Ranch in California. Rugged and rocky terrain. Quieter than other Mules. Can hold a conversation on the trail. Totallandscapecare.com – Kawasaki sponsored test drive event at Hearst Ranch in California.